Announcement Please shop with us at one of local craft shows this 2018 holiday season! Check out our schedule at www.pinkmapledesign.com. Please shop with us at one of local craft shows this 2018 holiday season! Check out our schedule at www.pinkmapledesign.com. Infinity Scarf Crochet Pattern. Instant Download. The scarf is gorgeous! Such beautiful and high quality work. Would highly recommend others to shop here!!! And super fast shipping. Thank you!! Colorblock Infinity Scarf. Gray and Off White Infinity. Crocheted Infinity Scarf. Wool Infinity Scarf. 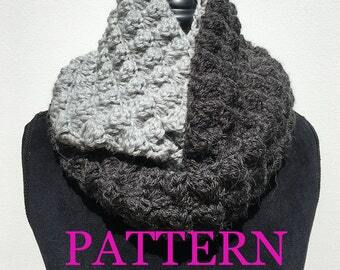 Gray Circle Scarf. Thank you so much, very appreciated by a friend going through chemo, who couldn't keep warm this winter until she wore this hat!! Red Women's Winter Hat. Merino Wool Hat. Crocheted Wool Hat. Hat with Flowers. Warm Wool Hat. Red Handmade Hat. Winter Hat. Crochet Hat. I love it!! Arrived packaged with great care and the quality is absolutely outstanding. I will be ordering from you again! Thank you! Reserved Listing for Jennifer L.
Pink and green isn't just for summer! Check out the new green wool hat just added to our Etsy store! Green Winter Hat. Women's Crocheted Winter Hat. Green Hat. Hat with Flower. Green Wool Hat. Thinking of making gifts this holiday season? A warm and cozy two-tone infinity scarf is a great crochet project that will please any recipient! A sampling of some of our crocheted hats. We never make two exactly alike! Once a year we travel to Nova Scotia where we buy some of our most beautiful and vibrant hand-dyed yarns at a wool farm. Pink Maple Design was born from the proposition that crochet doesn't have to be all lace doilies and pastel acrylic afghans. Instead it can be fresh and stylish--a modern take on a classic tradition. Combining many years' experience crocheting and a love for color and fashion, our goal is to offer exquisitely hand-crafted products made from high-quality materials at reasonable prices. Our winter accessories collection incorporates natural, ecofriendly, and luxury yarns in alpaca, bamboo, cashmere, cotton, corn, silk, soy, and wool into our crocheted hats, cowls, scarves, and headbands. We love working with vibrant colors and color combinations inspired by the latest fashion trends. No two items in our winter collection are exactly alike. Our home collection features banners inspired by British celebratory buntings. Watching "Downton Abbey," we were inspired by the celebratory buntings that draped the village of Downton on Mary and Matthew's wedding day. We're creating our own British-inspired buntings to be used as decorations in your home and at parties like baby and wedding showers. Of course, we've put our own spin on them! Marianne is a former teacher with a background in art and Alexis is an attorney who studied architecture, art, and design as an undergraduate. In most instances, we ship the next business day. Orders placed Monday through Friday ship the next day. Orders placed Saturday or Sunday ship Monday.